If you travel to US, your first point of entry into America is called Port of Entry (PoE). As part of arrival into US, all the travellers go through Port of entry procedures , where a CBP officer will ask some questions to check and validate your travel intent and verify your purpose of travel. In general, US Visa only allows you to arrive at Port of Entry, it does not grant you automatic entry into US. As a traveler, it is your responsibility to convince the Customs and Border Protection (CBP) officer by answering the questions asked by them properly and convince them to allow you to enter US. If CBP officer is not convinced, they may deny your entry and send you back to your home country. The Port of Entry questions vary by your purpose of travel. The CBP officer’s questions at port of entry are primarily targeted to verify the below details. Identity of Person : CBP officer’s main intent is to validate if you are the same person as the one who applied visa and confirm your personal details, nationality, finger prints. Visa Supporting Documents : At port of entry, they also want to make sure you have all the supporting documents related to your visa and they are genuine. Purpose and Intent : Verify the purpose of your travel and the intent. Make sure your visa is in-line with your purpose of travel to US. Detect Fraud, Security Threats : CBP officers also want to verify, if there is any fraud involved in the overall process of US visa, documents are genuine, or if there are any security threats related to the individual entering US. What is the purpose of your travel to America ? Where are you staying in US ? How long is your duration of stay in US ? Where do you plan to stay in US ? How often do you travel to America ? When was the last time you have visited US ? What was your last US visit regarding ? Give me a copy of your Hotel reservation ? What do you do in your home country ? What is your job or occupation ? How will you support your travel in US ? How much money are your carrying in Cash or travellers checks ? Where is your next destination after US ? When do you plan to return back to your residence country ? Where do you live currently or your country of residence ? Do you have any friends in USA ? Do you plan to stay with them ? Can you share details of your contacts in US ? What do you plan to do in US during your stay ? 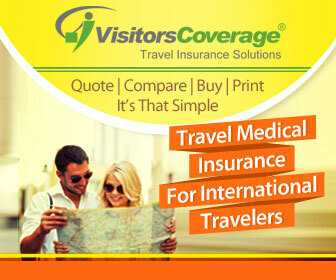 Do you have return flight ticket to your home country from US ? Do you plan to work during your travel in US ? Did you travel to any African countries recently ? Do you have anything to declare that you are bringing to America ? Why are you landing in this city, when your destination is another City ? If the CBP Officer is not convinced with the answers for the questions or they sense something wrong due to some flags raised in their system, then you will be subject to secondary inspection, where they may check all your belongings, and ask you more in-depth questions. It can take few hours for secondary inspection.